MTV Releases Official Teaser For Victoria Justice’s ‘Eye Candy’ Series! – Watch Now! 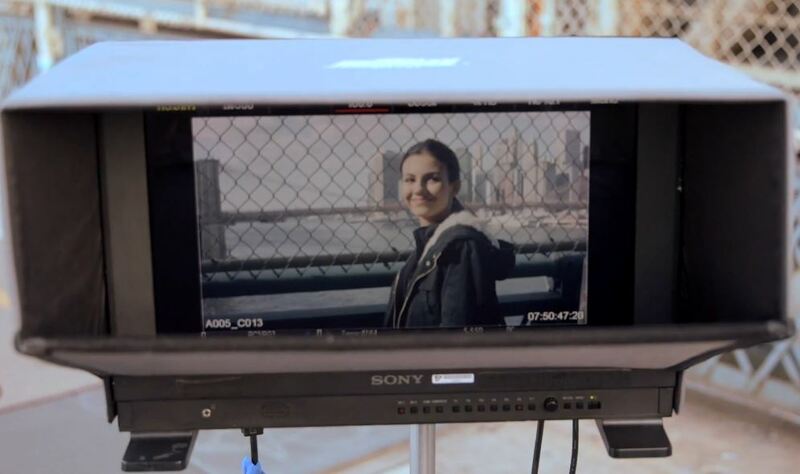 MTV has just released a new official teaser for Victoria Justice‘s new and upcoming show, Eye Candy. The show features on a New York City computer genius named Lindy (played by Victoria), who discovers that one of her online suitors might be a wanted murderer and the trailer is seriously scary! Eye Candy also stars Harvey Guillen, Kiersey Clemons and John Garet Stoker and will premiere on Monday, January 12th at 10PM ET/PT on MTV. In the meantime, be sure to check out the official teaser for Eye Candy in the video below! Victoria Justice looked fierce and focused on October 26th as she went for a run while filming on the set of her upcoming MTV series ‘Eye Candy’ in Brooklyn, New York. All of the recent behind the scenes photos are getting fans excited for the show which is set to air soon! Check out more photos of Victoria getting her run on in the photos below. Who knew acting could be such great exercise?